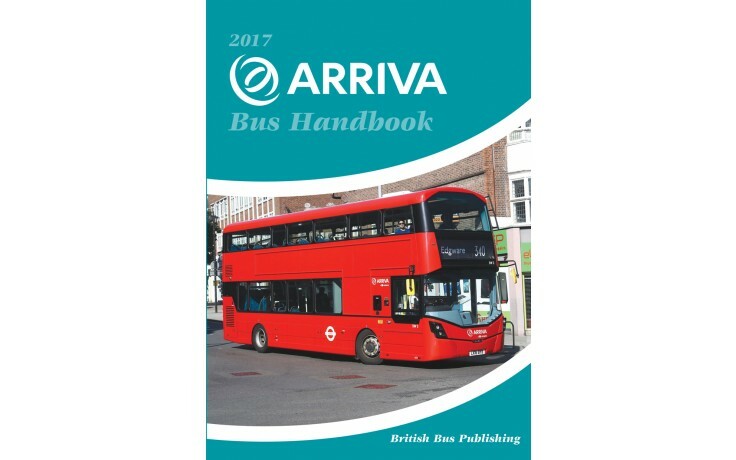 The 2017 Arriva Bus Handbook is with the printers and due out 21st November. Updated to November 2016, it takes into account the division of The Shires into the Midlands, London and Southern Counties operations. Deutsche Bahn acquired Arriva to strengthen and expand its competitive position in a consolidating European transport market. Arriva is now Deutsche Bahn’s growth division maintaining the Arriva name and providing continuity of management to its operations in fourteen countries. As the European fleets have expanded it is no longer viable to undertake a single book containing all the European fleets so the 2017 will continue to only show the British operations. The 2017 Arriva Bus Handbook is out and updated to November 2016. It takes into account the division of The Shires into the Midlands, London and Southern Counties operations. Deutsche Bahn acquired Arriva to strengthen and expand its competitive position in a consolidating European transport market. Arriva is now Deutsche Bahn’s growth division maintaining the Arriva name and providing continuity of management to its operations in fourteen countries. As the European fleets have expanded it is no longer viable to undertake a single book containing all the European fleets so the 2017 will continue to only show the British operations.